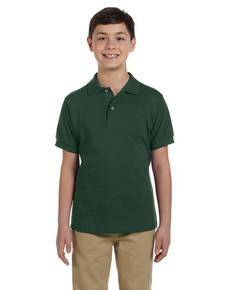 ShirtSpace is known for making quality clothing available at great wholesale prices. If you are looking for colorful and comfortable Jerzees t-shirts at wholesale discounts, we have you covered. Thanks to our great wholesale bargains, you can get more for your money. Jerzees shirts are ideal for fundraising sales, youth groups, fraternities , sororities, scouting troops, and even companies wishing to purchase coordinated uniform items for employees or promotional events. Each product from this trusted brand is a high-quality classic that will not let you down. Jerzees t-shirts come in a wide range of styles, sizes, and colors so you never have to compromise. Jerzees and ShirtSpace make it easy to get exactly what you want. Jerzees t-shirts are perfect for customizing. Seamless shirt bodies provide the perfect canvas for large uninterrupted designs. 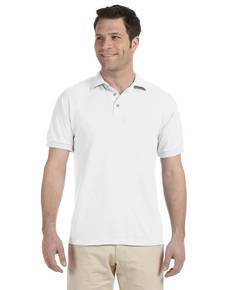 Cover seaming minimizes the distraction caused by traditional t-shirt seams and lets your design take center stage. The high-density fabric used in the manufacturing of these shirts provides a better quality transfer during customization. You can feel confident that your customized shirt is going to look fantastic. Our great selection of Jerzees wholesale apparel makes it easy to find exactly what you are looking for. We have a style to suit every taste. Choose from classic crew neck tees, ladies V-neck shirts, polo shirts for women, men, and children, comfortable long sleeve tees, and much more. Each style is available in many different sizes; some styles go up to 5XL. Explore the wide selection of Jerzees wholesale apparel available from ShirtSpace. Our deep discounts make shopping easy.